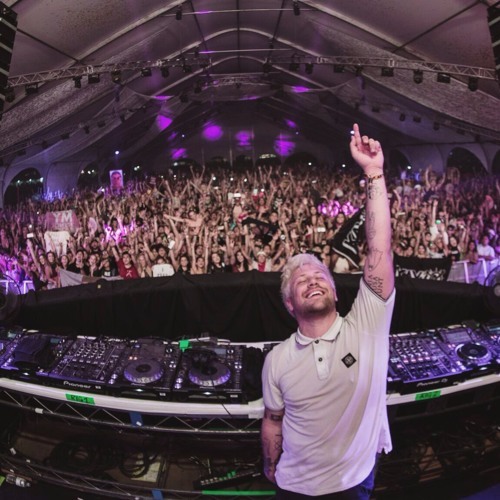 Los Angeles resident Kayzo took over the Green Stage at HARD Summer a few weeks ago with a 75 minute long mix. The two day festival took place Saturday, August 5th and Sunday, August 6th at the Auto Club Speedway in Fontana. The mix is loaded with head banging tracks from Hayden Capuozzo himself, as well as a bunch of other heavy hitting artists. Scattered throughout are a number of IDs from Kayzo and other artists that we’ll have to wait on for the official release. Some of the tracks by Kayzo in the set include “This Time”, “Home” with Cesqeaux, “Welcome To The Doghouse”, “Whistle Wars”, “Frequency” with Gammer, and his remix with Gammer of “Language” by Porter Robinson featuring Bright Lights. Other songs include “Party Don’t Stop” by Darren Styles, Dougal, and Gammer, “Pump” by Valentino Khan, “Great Spirit” by Armin van Buuren and Vini Vici featuring Hilight Tribe, and “Superhuman” by SLANDER featuring Eric Leva.